So my friend Jerry is on quite the little golf trip. On Tuesday he played The Jewel in Lake City (the photo I posted yesterday). Now this photo landed in my inbox late on Wednesday afternoon. I played here a couple of weeks ago and had a great day. Greens were fantastic. Fairways weren’t great — though they were firm — but I loved the greens. 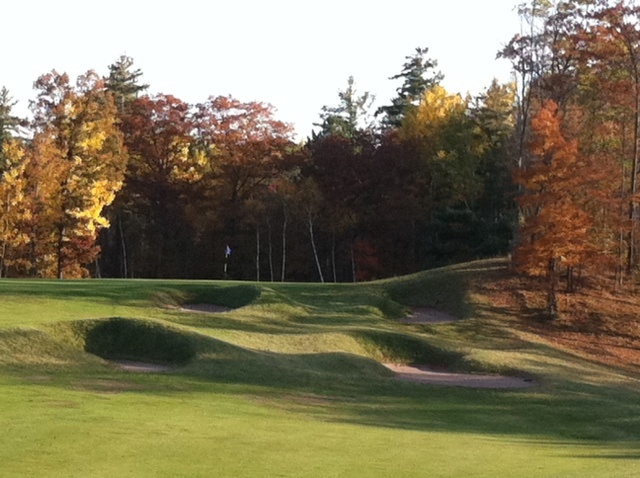 Here it is, the green complex on an easy par 5. The only problem is that the hole is a par 4. It’s a monster.